If you love your home and your neighborhood but feel you have outgrown your existing square footage, a room addition is a great way to get the space you need without actually moving to a new location. 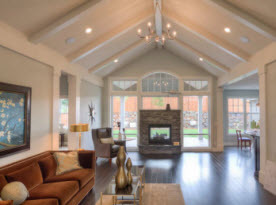 Over the past decade, room additions have become a popular choice for homeowners interested in increasing their living space to make their home more spacious while adding value to the property. The knowledgeable designers, project managers, builders, and master craftsman at Future Vision Remodeling, work together as a team to create the extra space that you have always dreamed of. Expanding your home gives you the control to decide exactly what you want in your addition along with keeping the existing areas in your home that already work. Instead of the expense and stress of relocating, our design team will work with you to create your dream home. 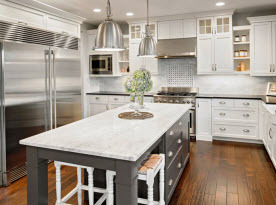 At Future Vision Remodeling, we specialize in custom home remodeling and construction services for home and business owners in San Jose, California and the surrounding areas. Our comprehensive list of services includes kitchen & bathroom remodeling and upgrades, room additions, and whole home remodeling services. Additional services include exterior remodeling, roofing installation, and landscape services. 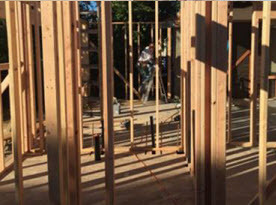 Your room addition begins with a walk through to determine the scope and size of the project. Our design team will listen carefully and offer suggestions to ensure that you make the most out of your new space before building a 3D model to allow you to experience your addition first-hand. It is during this time that we can make the necessary changes such as moving walls, and repositioning doorways, windows and other design features until you are completely happy with the results. Your project manager will schedule your new construction and work closely with our builders and master craftsman to ensure that each and every detail of your addition is properly executed. As a company, we pride ourselves on providing our clients with the highest standards of customer service and satisfaction imaginable. At Future Vision Remodeling, we work with the best manufacturers in the design and remodeling industry and we are available to offer advice to help you select the right materials and fixtures for your new addition. The smallest detail can make a huge impact to the finished product, and our design team has the experience and know-how to assist you every step of the way. 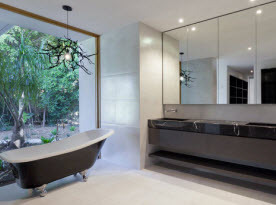 One of the most important aspects of a room addition is to ensure that it blends perfectly with the existing interior and exterior of your home. We build your addition with flawless execution and guests to your home will never know where your home finishes and your new addition begins. At Future Vision Remodeling, we believe in delivering quality results, on time and on budget by providing premium room additions for all manner of budgets and style homes. We offer a variety of room additions including: rear additions, kitchen and bathroom additions, family room additions, second story additions, master suite additions and much more! For more information regarding room additions for your San Jose California home, contact the knowledgeable professionals at Future Vision Remodeling today.